We offer many products in this area, where Linerboard has many grades - Clay coated board, Poly coated board, Linerboard, SBS and Matte Board. Often called "Paperboard", is a very handy and useful man-made material. It is made from recycled paper that is glued together to form one large material. The first impression that comes to mind are drink coasters at a restaurant/bar or that brown box you received in the mail. We can provide a total range of Linerboard offerings when working with you to define your project, all while giving you the option of having us hold Inventory for you. Below are the typical Chipboard offerings most common seen. Please contact us for just a quick question or to discuss your new project - we are listening!! Derived from the Kraft paper making process, utilizing the wood fiber which produces excellent strength properties. Linerboard has high tensile, burst and compressing strength. As well as a roughness that lends itself perfect for printing on. Primarily used for making corrugated paper box cartons, displays, folding cartons and graphical displays. 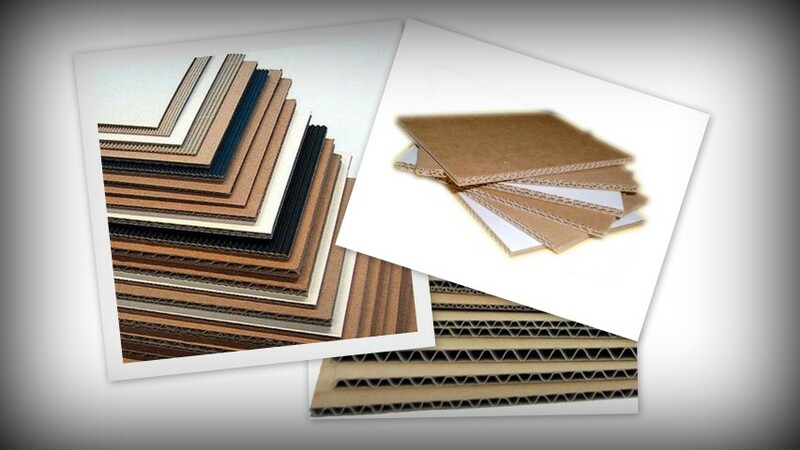 Linerboard can be combined with other corrugated material producing a wide range of capabilities. Ranging from Bursting strength, Folding strength, Water repellency all in various thickness. Used in a variety of applications: graphics, printing, signage, food and medical packaging. SBS will not degrade over time due to being acid free. This paper features a low stiffness ratio to allow more flexibility in carton design and consistent, bright appearance for printing. Often coated one side with Polyethylene for increased barrier properties. This is ideal for displays or premium packaging due to its brightness and appearance with optimal ink hold-out. This board can be coated on one or both sides with polypropylene. Coatings can be one of the following or different on each side: LDPE, MDPE, HDPE and PP. With various treatments that can be applied, we can work with customers to be able to meet the needs for certain specialized hazardous material. Makes for excellent packaging material for several items. Where it is very lightweight, but stable. Being so light, it adds very little to the cost of packaging. Printing on these material is very effective and is used throughout all of manufacturing from Cereal boxes, floor covering, pallet liners to slip sheets. Ideal for making book covers, journals, scrapbooks and various stationary items. Where the product is so versatile and easy to use with, the construction industry has been making cabinet doors, closets and kitchen worktops for several years. With so many grades and thickness to choose from, this product is showing up as a cost alternative to medium price wood flooring. Dating back to the late 1800's, children board games have used paperboard and linerboard as their primary source. Dollhouses, playhouses, and building blocks are other products.